Petunia and Verbena. 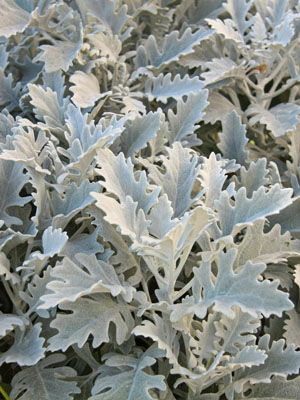 The luminous silvery leaves of cineraria make it a valuable neutral plant for separating bright colours, or framing showy shrubs like roses. Dwarf types make good edging plants for beds and containers.